Terra Nova has prepared General/Comprehensive Plans for both rural and urban communities. We have a clear understanding of the requirements of community planning and growth management, and incorporate the mandates of law while preserving a community’s character. Innovative urban design and the generous use of graphics and mapping provide a clear and easy-to-use resource to guide community development. A clear and inclusive community visioning process is essential to a General and Comprehensive Plan that is most responsive to the needs of the community. Issues of particular importance include balancing land use and transportation, community design and economic development, protection of environmentally sensitive areas, and creation of healthy neighborhoods. 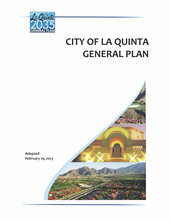 Terra Nova was the prime contractor and principal author of a Comprehensive General Plan Update and associated Environmental Impact Report for the City of La Quinta in 2002 and again in 2013. The City’s 85 square mile planning area included a large sphere of influence area. The 2013 effort included the addition of Economic Development and Livable Community elements, and the consolidation of the General Plan into a single document (the General Plan had previously included a Master Environmental Assessment and a Policy document). The Environmental Impact Report assessed the environmental resources of the City as well as the impacts associated with implementation of the General Plan. Areas of analysis include transportation, important biological and cultural resources, and the full range of environmental conditions typically addressed in General Plans. Terra Nova also prepared a comprehensive Greenhouse Gas Reduction Plan to help the City reduce its greenhouse gas emissions to meet State mandates. 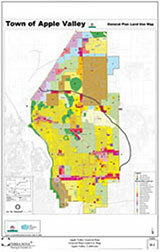 Terra Nova prepared the General Plan and associated EIR for the Town of Apple Valley (population 70,000), addressing the long-term growth of a 72 square mile planning area. Concurrently, we drafted a new Development Code with development standards and guidelines for three new zoning districts. Issues included community character and quality of life, water resources, and the jobs/housing balance. These planning documents address environmental resources, impacts associated with implementation of the General Plan and resource management. Terra Nova also prepared an award-winning Climate Action Plan for the Town. 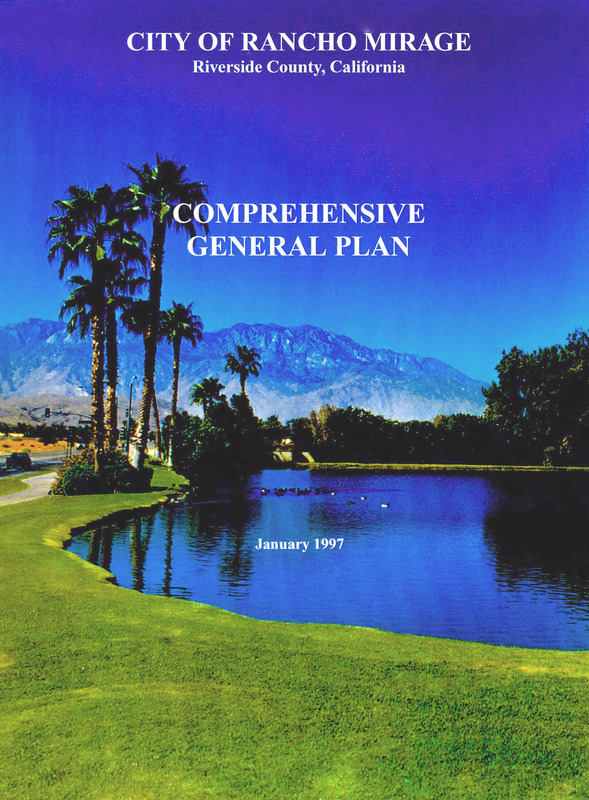 This Comprehensive General Plan and associated Environmental Impact Report for the City of Palm Desert covers a 121 square mile planning area, including the valley floor and surrounding mountains in the Coachella Valley area of Riverside County. Elements of note include Community Design, Economic Development and the University Park Community Plan. The EIR assesses water supplies and air quality, as well as transportation and geotechnical hazards, including the San Andreas Fault. 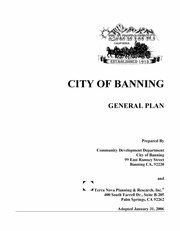 This General Plan included all the elements mandated by Government Code Section 65302, including Land Use, Traffic and Circulation, Housing, Conservation, Open Space, Safety and Noise for the City of Banning. The study area encompassed approximately 36.9 square miles. In addition to the mandated elements, optional elements have been included in this General Plan, including Economic Development and Cultural Resources. Each element includes a background, or existing conditions section, a section addressing buildout of the land use plan, and goals, policies and programs. Terra Nova also prepared the EIR for the project, as well as a new Zoning Ordinance. 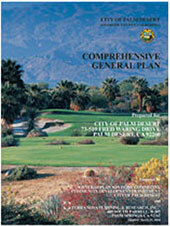 Terra Nova prepared a new Comprehensive General Plan and associated Environmental Impact Report for the City of Rancho Mirage on a 33 square mile planning area. The planning area included two major highways, urbanized and vacant lands and mountain resource areas. The General Plan included several innovations, including Community Design and Economic Development Elements. The EIR assessed the environmental resources, transportation and socio-economic impacts, among others. Important biological and cultural resources, unstable soils and geologic conditions (San Andreas Fault), hydrology/drainage and the full range of environmental conditions were also analyzed in the EIR. The public participation portion of the Rancho Mirage General Plan development and approval process was awarded special recognition by the Inland Empire Section of APA and was invited to show at the state ALA conference.